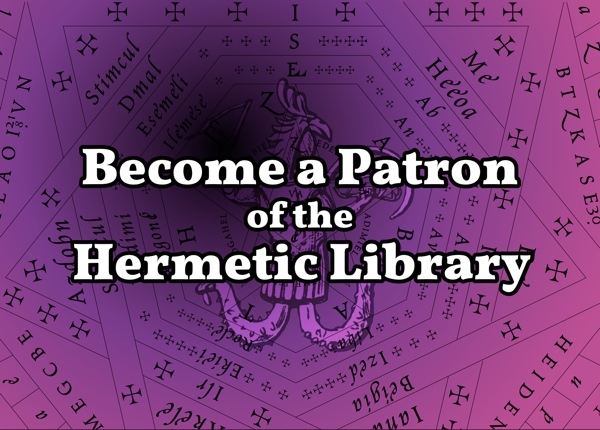 Hermetic Library Fellow T Polyphilus reviews The Thoth Tarot, Astrology, & Other Selected Writings by Phyllis Seckler, edited by David Shoemaker, Gregory Peters, and Rorac Johnson. This beautifully bound book is obviously intended to enshrine the work of Thelemic initiate Phyllis Seckler as an occultist legacy. 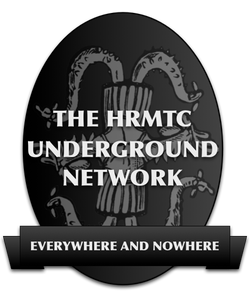 It is issued by the College of Thelema of Northern California, a successor organization to the school that she organized herself, and thus also serves to bolster their own pedigree. The two treatises on the Thoth Tarot in this volume were each previously serialized in the College of Thelema journal In the Continuum. The first, on “The Thoth Tarot and Psychology,” is very much a matter of Jungian analytic psychology, uninformed even by other aspects of the psychoanalytic tradition, let alone more diverse modern schools of psychology. It takes the surprising but therefore illuminating approach of treating the Trumps in ascending numerical sequence, i.e. the qabalistic path of creation rather than initiation, in order to chart something like a developmental narrative. Seckler has made thorough visual contemplation of the cards, and calls out details I had never observed, although she also makes errors (such as taking the pelican in the Empress card for a swan). She occasionally presumes to explain quotes or passages from The Book of the Law, and these explanations are sadly not very inspired. The second section, on “The Thoth Tarot and Astrology,” includes some useful charts synthesizing tarot and astrology according to Crowley’s development of the Golden Dawn hermetic doctrines. There is general guidance on astrology that is very much at a primer level. The main body of this text is a full survey of the sun signs, with the zodiacal symbolism illustrated through the trumps and court cards of the Thoth Tarot. It is entirely restricted to the most pedestrian sort of characterological astrology, and I found it an unenlightening chore to read. It has no satisfying summation or synthesis; it merely rehearses details through twelve signs and then stops. The third section of the book is a collection of correspondence. The editors evidently had a much larger archive at their disposal, and the principles guiding their selection here are not made clear, nor is the sequencing of the letters, which is not reliably chronological. The antagonistic character of some of these letters don’t seem to reflect all that well on Seckler, but I am grateful to have access to them for the light they shed on the history of OTO and Thelemic magick in the twentieth century. At the end there is a longish interview with “SM” (Soror Meral, i.e. Seckler) from the year 2000. It has some worthwhile autobiographical reflections from Seckler, but entirely too much chattering on from the interviewer regarding her own views of OTO and then-contemporary occultism. This interview is supposedly the last one recorded with Seckler, and there are moments where the full significance of her remarks seems to depend on tone and attitude that the transcript fails to communicate. 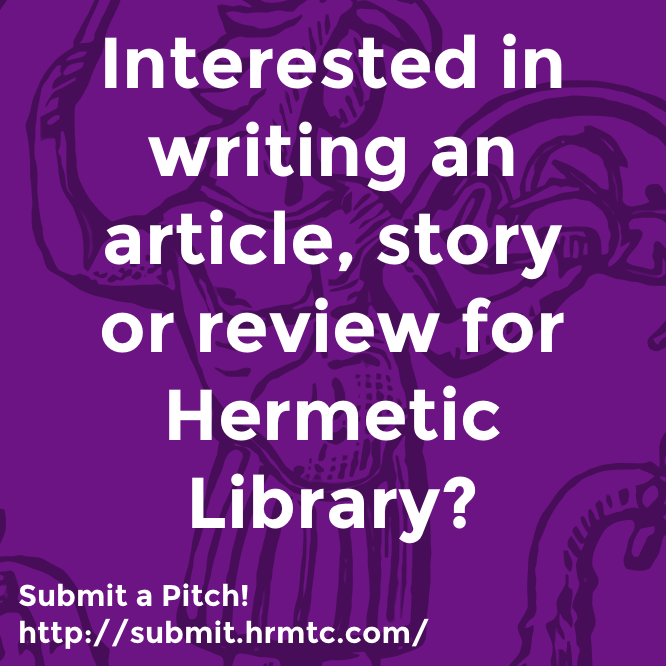 This entry was posted in Hermetic Library Reading Room and tagged book, edited by David Shoemaker, gregory peters, phyllis seckler, review, rorac johnson, T Polyphilus on November 26, 2018 by John Griogair Bell. 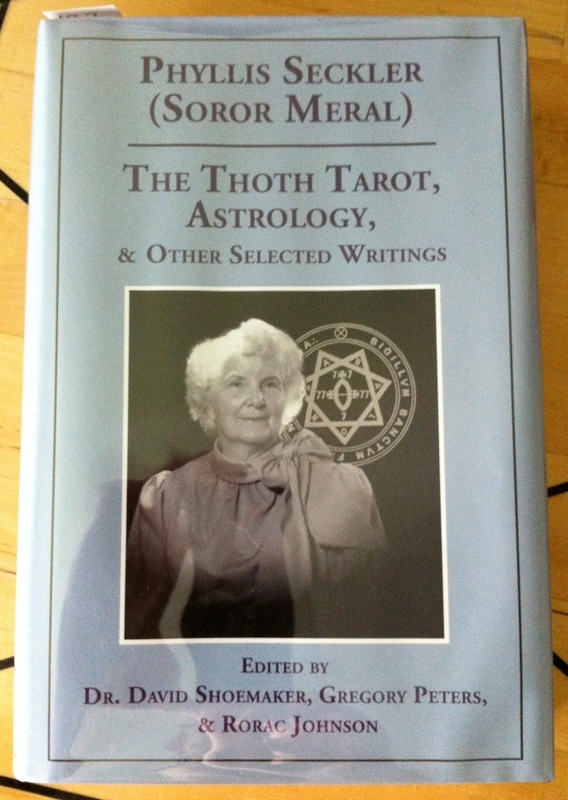 The Thoth Tarot, Astrology, & Other Selected Writings [also] by Phyllis Seckler (Soror Meral), edited by Dr David Shoemaker et al., the 2010 hardcover limited edition of 777 from College of Thelema of Northern California (now the International College of Thelema) and Teitan Press, is part of the collection at the Reading Room. “Phyllis Seckler (1917–2004) was introduced to the teachings of Aleister Crowley in the late 1930s and became a regular participant in the activities of Agape Lodge of the Ordo Templi Orientis in California, and rose to become a Ninth Degree member of the ‘Sovereign Sanctuary of the Gnosis.’ She was admitted to the A∴ A∴, eventually taking the ‘magical name’ Soror Meral and was later confirmed as an Adeptus Minor by Crowley’s successor, Karl Germer. Seckler was a key figure in the reinauguration of the O.T.O. in 1969, and a few years later she founded the College of Thelema, with the intention that it would provide background training for aspirants to the A∴ A∴ Although not as widely known as some of her contemporaries, Seckler played a crucial role in the history of Thelema, not only through her efforts to explore and revive Crowley’s creed, but also by training a new generation of its students. The Thoth Tarot, Astrology & Other Selected Writings, is edited by three of Phyllis Seckler’s former students: Rorac Johnson, Gregory Peters, and David Shoemaker. 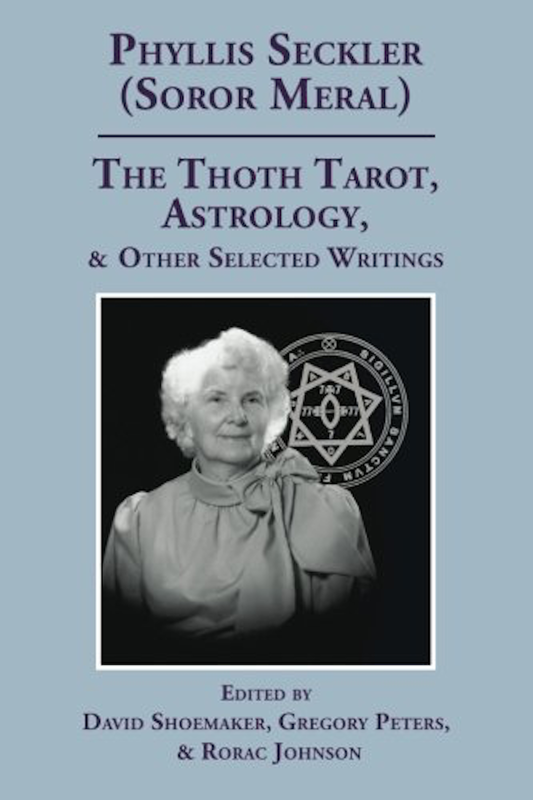 It includes a biographical sketch of Phyllis Seckler drawn from her own autobiographical writings, and two of her most important essays: ‘The Tarot Trumps of Thoth and Psychology’ — a detailed analysis of the psychological and magical symbolism of the Trumps of the Thoth deck — and ‘Thoth Tarot and Astrology,’ a significant study of astrology and the natal chart, with special reference to the cards of the Thoth deck. Both of these essays were previously serialized in Seckler’s journal In the Continuum, but they are here presented for the first time in book form, accompanied by redrawn and corrected diagrams. This entry was posted in A∴A∴, Hermetic Library Reading Room, Ordo Templi Orientis, The Libri of Aleister Crowley, Thelema and tagged 2010, aa, Agape Lodge, aleister crowley, Astrology, autobiographical writings, books, college of thelema, David Shoemaker, gregory peters, jane wolfe, karl germer, magical name, magical symbolism, ninth degree, ordo templi orientis, phyllis seckler, Reading Room, rorac johnson, soror meral, tarot trumps, thoth deck, Thoth Tarot on July 31, 2013 by John Griogair Bell. The Kabbalah, Magick, and Thelema. Selected Writings. Volume II. 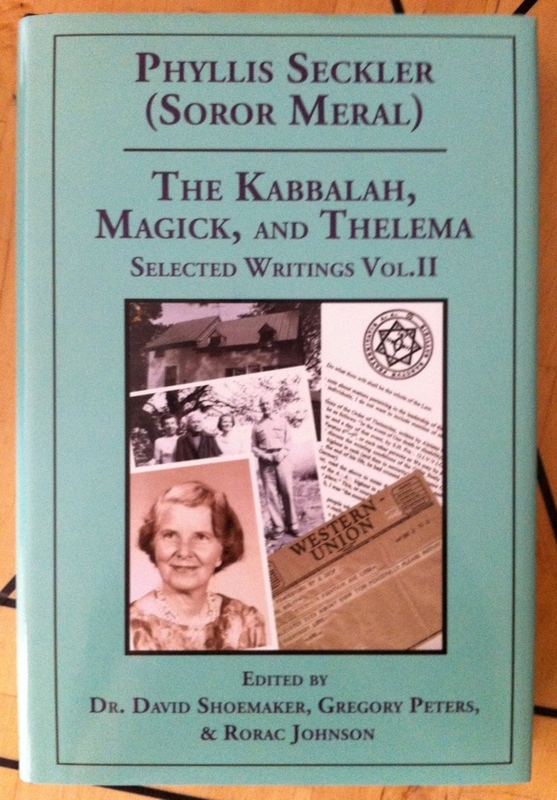 by Phyllis Seckler (Soror Meral) issued by the College of Thelema of Northern California and published by Teitan Press is now available. “Phyllis Seckler (‘Soror Meral:’ 1917-2004) was introduced to the teachings of Aleister Crowley in the late 1930s and became a regular participant in the activities of Agape Lodge of the Ordo Templi Orientis in California, and rose to become a Ninth Degree member of the ‘Sovereign Sanctuary of the Gnosis,’ and an Adeptus Minor of the A∴ A∴ The Kabbalah, Magick, and Thelema is the second volume of writings by Phyllis Seckler to be published by the College of Thelema of Northern California in association with The Teitan Press. Like the first volume, The Thoth Tarot, Astrology & Other Selected Writings (see listing below) this collection is edited and introduced by three of Seckler’s former students: Rorac Johnson, Gregory Peters, and David Shoemaker, but this second volume additionally includes a short Foreword by one of her best-known early A∴ A∴ students, Lon Milo DuQuette. In common with Crowley, Seckler found short, pithy essays, written in the form of ‘letters,’ to be an excellent and powerful teaching method, and the main body of this work comprises a series of these letters, covering diverse topics from kabbalah and the practice of ritual magic, through philosophy and spiritual enquiry to commentary on the Thelemic culture of the time. Originally published in Seckler’s journal ‘In the Continuum,’ they are here presented for the first time in book form, accompanied by redrawn and corrected diagrams. The book also reproduces a number of important letters that passed between Seckler and other significant figures in the history of post-Crowleyan Thelema, including Karl Germer, Israel Regardie, Grady McMurtry, Gerald Yorke, and Marcelo Motta. These letters, which cover matters as varied as the leadership succession of the O.T.O. and the thefts at Karl Germer’s library, are published here for the first time, as are a number of related photographs.